The trial version of the "Jewellust Xmas", the Christmas version of our popular game "Jewellust". Swap and burst colorful signs to gather mosaic tiles. 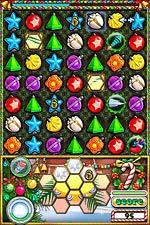 Help Santa to deliver gifts, solve jigsaw puzzles and use various power-ups! Enjoy!